Our weekly menu consists of nutritious foods and snacks based on the Child and Adult Food Program (CACFP) guidelines. 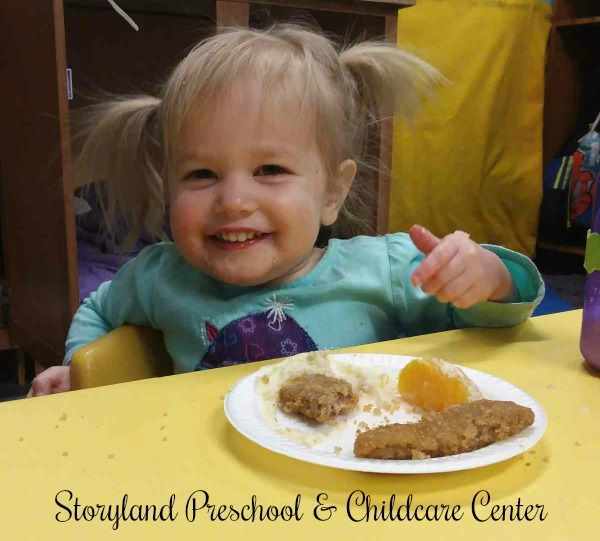 Each child in attendance is welcome to enjoy a nutritious breakfast, lunch and afternoon snack, providing they are in attendance during the time meals are served. It is very important that your child be in attendance during the time when he/her class is being served. To participate in this Food Program, children will need to be in attendance during the hours that meals and snacks are served. 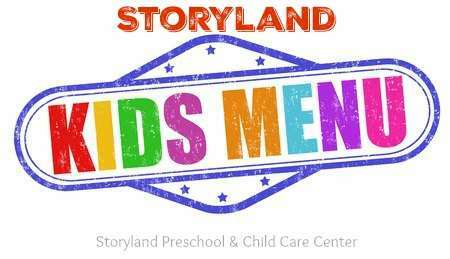 There are many rules and regulations that govern this government program and Storyland depends on the program to provide a superior food service for your child. One very important regulation that we must follow is the timing of meals. Children must be present at the facility at the time meals are served. Unfortunately, we are unable to serve a meal to your child if he is late to school. Due take this into consideration when planning your daily schedule. Another requirement of the CACFP that we must follow is the "All or Nothing" rule. This government rule states that children will be served the entire meal meaning all that is on the menu for that day. That is how Storyland gets some reimbursement for providing this quality meal service. 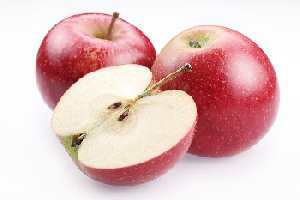 Children are encouraged to try all the foods served, but are never required to eat a particular food if they do not wish to do so. The one exception is that of a food allergy. If your child has an allergy, please read the section below about allergies. If you have any questions about our weekly menu or any other part of the food service program, please do not hesitate to ask at the front desk, or if you prefer, you can contact us directly through the website. We realize that many children have specific food allergies and we want to accommodate their needs. If it has been determined that your child has an allergy and should not consume a specific food, you will need to complete an allergy care plan. Both your child's physician and a parent or guardian must sign. You can download a PDF Allergy Care Plan from this website or ask for one in person at the front desk. Our CACFP Menus are produced on a four week repeating cycle, meaning that your child's daily menu will be rotated approximately every month. We do this to assure that he or she is getting a wide variety of nutritious foods each month. Cycles are numbered from one to four. Check out the dates below to discover which cycle of the menu is being served. Please call by 10:00 if your child will need a lunch If you would prefer to bring your child’s breakfast or lunch, this is fine as long as it meets the nutritional guidelines set forth by the State of Texas. A nutritious lunch might include a serving from the meat or meat alternate group, a vegetable, a fruit, a serving from the bread group, and milk. PLEASE, do not send soft drinks or candy with your child, as this is not nutritious. 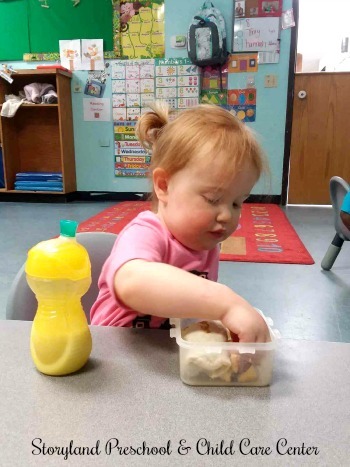 If a child arrives with a breakfast or lunch that we conclude is not nutritionally sound, we will provide a nutritious breakfast or lunch for your child. There is no reduction in fees for sending a lunch. We serve breakfast in the classrooms from 8:30 to 9:00 each day. After that, our preschool program begins. If you arrive late and your child needs to eat, you may stay with your child in their classroom until they are finished eating. Please be sensitive to the needs of the class and do not expect your child’s teacher to stop teaching and feed your child breakfast after 9:00 AM. if the main menu item poses a choking hazard. Please see above for changes in the menu. For children not yet ready for table food, you must provide written feeding instructions with your signature and date. The feeding instructions must be reviewed and updated at least every 30 days until your child is able to eat table food. We provide baby cereal, fruits, vegetables, and meats and baby formula (Parents' Choice). Please label each bottle with your child’s first name and first initial of their last name.